I woke early to a very damp morning. There had been heavy rain during the night and I hoped it might have dampened the wind. I drove round to Frazer’s Reef, hoping to have a look for some Jewfish, from the rocks in that area. I stepped out on to the beach by the carpark and was greeted by a very angry sea. 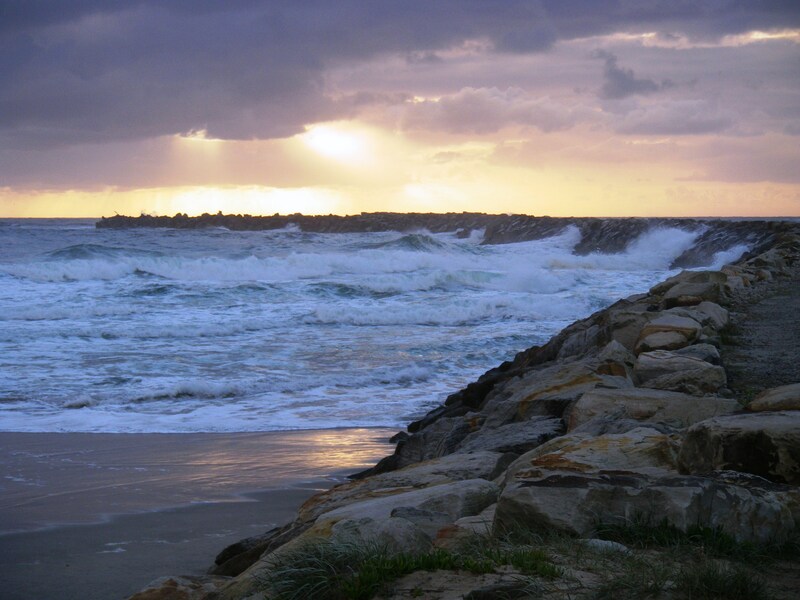 I gave up and drove down to the Iluka rockwall where the swell was also too lively to fish. 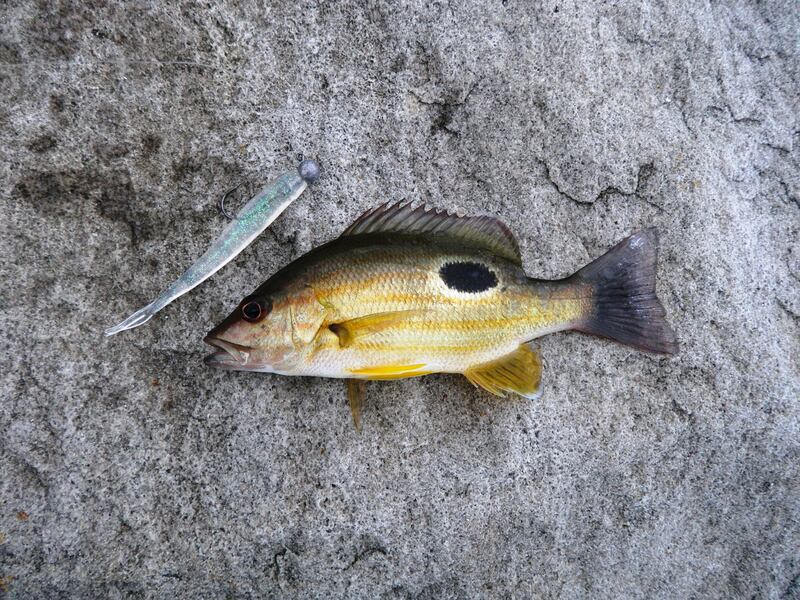 I decided to give the Iluka harbour a try with a light spin rod and some soft plastic lures. 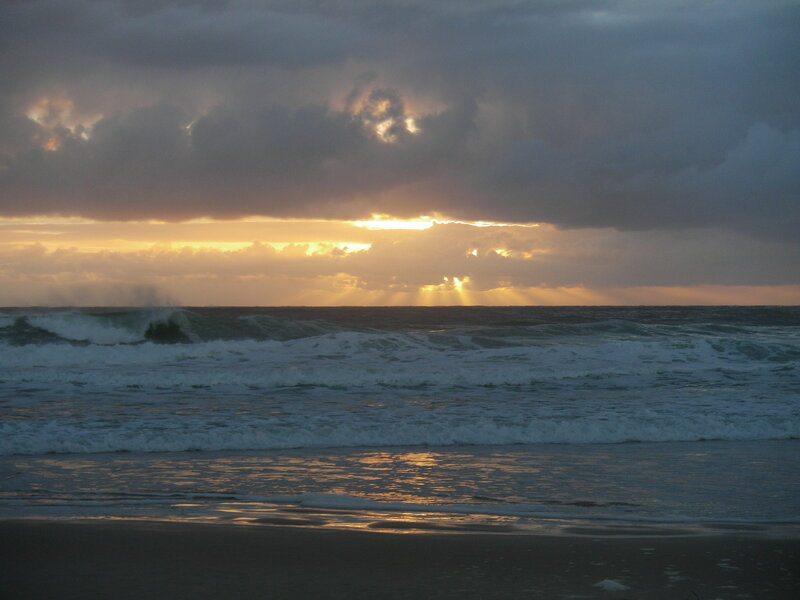 It was now a couple of hours after dawn and the tide would be high around 8.00 am. I was fishing along the northern stretch of the rock wall that separates the harbour from the Clarence River. 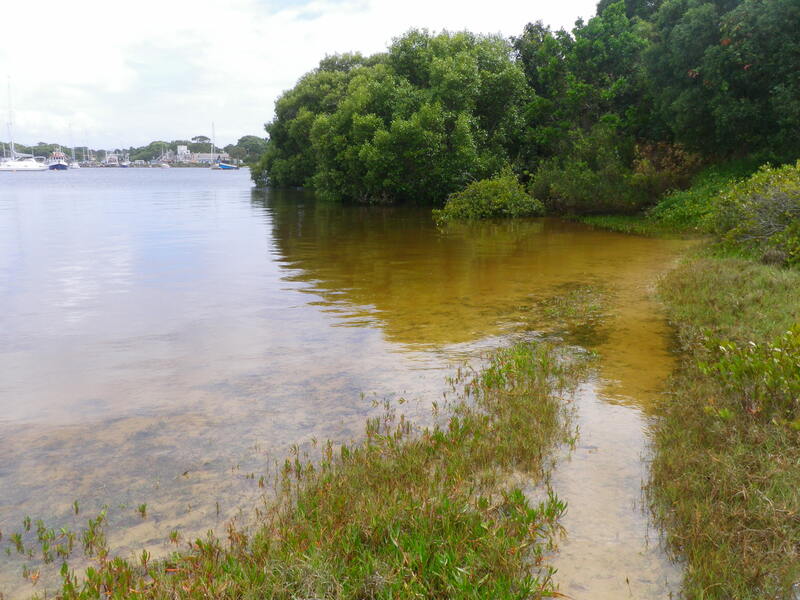 The water in the harbour was a dark, tea-tree stained colour but still clear and as the tide was running in strongly, the water on the river side was also quite clean. I started with an almost see through Powerbait Minnow on a 1/8th oz, 1/0 hook jighead. This yielded a tiny Moses Perch and a 30 cm Flathead. There were a few good size mullet schools cruising up and down and a couple of dolphins came through the harbour entrance to chase them around. I swapped to a GULP 4” Minnow in the Pearl Watermelon colour. 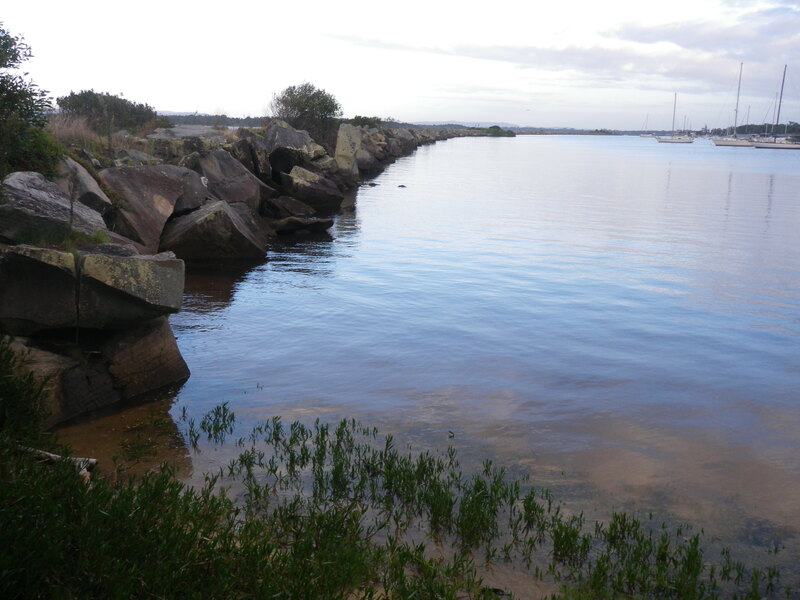 I walked along the rockwall casting into both the Clarence River and the harbour. 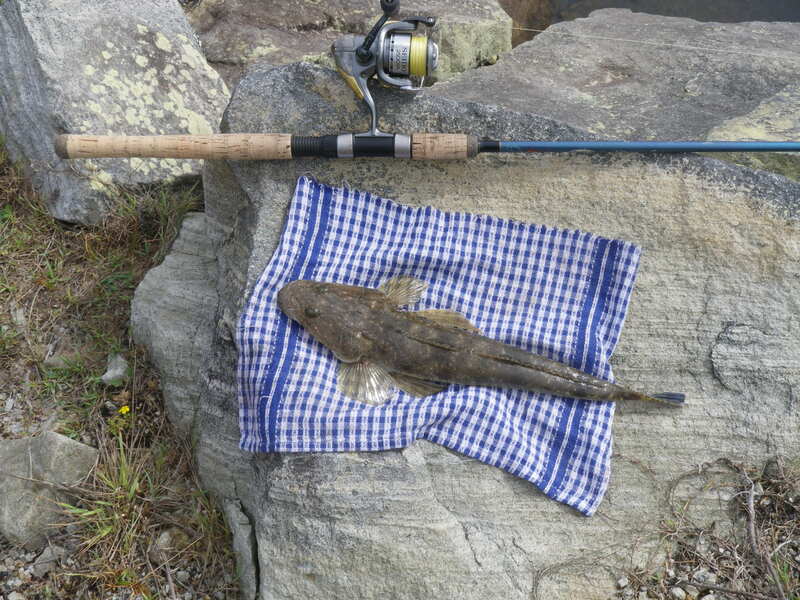 After another hour, I had caught two more small Flathead – too small to keep. I tried a couple of hard bodied, sinking vibe lures – which produced nothing. 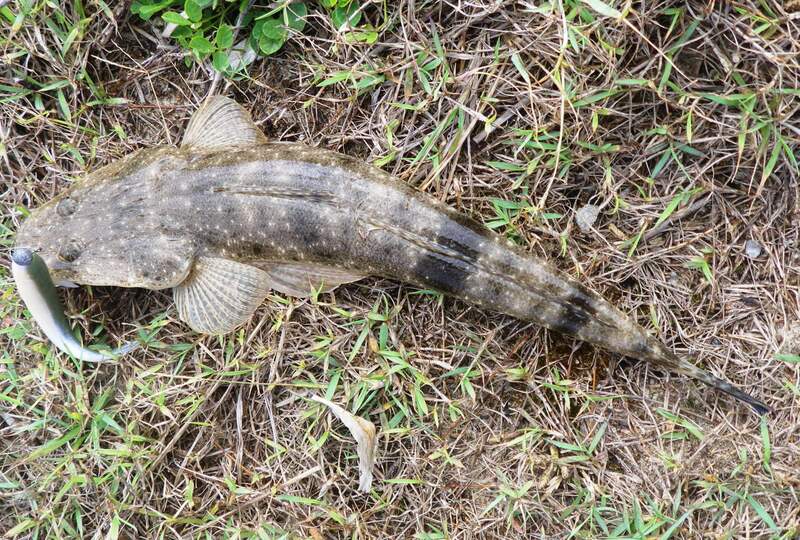 I switched back to the soft plastic lures and finally caught a Flathead that was just over 40cm long. One small Flathead would not feed us, so I released it. At about 9.30 am I gave up. There was still nothing for dinner. 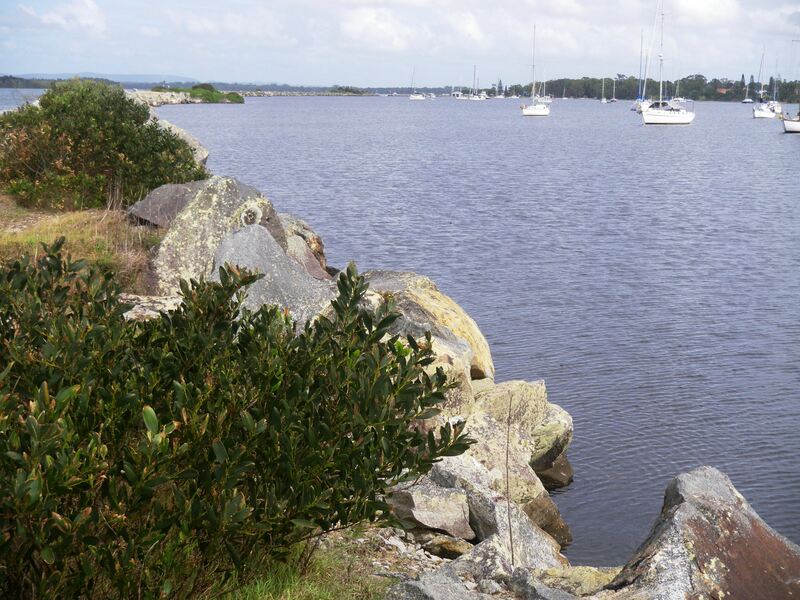 This entry was posted in Fishing Reports, Iluka and tagged fishing with soft plastics in the Clarence River, Iluka Harbour, landangler, Pearl watermelon minnow, Powerbait soft plastics, tea tree coloured water. Bookmark the permalink.